We’ve put together some of our top tips as well as the most frequently asked questions to help ensure your application shines the best light on your business! Please remember that these are our opinions only and are not intended as business or taxation advice and you should always speak to an accountant, the ATO, Centrelink, and Regulatory Bodies such as the ACCC, TGA, or NICNAS as relevant to your business. Am I A BUSINESS OR HOBBY? This has to be one of the most frequently asked questions we get from artists applying to be part of our space. This is a grey area and comes down to quantity of products you are making and selling, whether you are running it as a hobby or if it is more like a business. There are some advantages of having a ABN including discounts from suppliers and being able to claim deductions for your associated expenses against your income. If you do not have a ABN for your business, in order for us to not be required to withhold tax we need brands to fill out the “Statement By Supplier” ATO form stating you are running as a hobby. The biggest mistake we find brands making is confusing Centrelink and the ATO. The ATO may not count your hobby income as taxable but in many cases Centrelink will still count it as income. By declaring your hobby as a business you can normally report your business profit/loss rather than your hobby income to Centrelink. We will never mislead any government body as to the amount we pay to our brands if asked and we always remind brands that in this digital age, these reporting bodies do use Facebook, Instagram and other social media to ensure correct reporting. Further information can be found at the ATO’s or Centrelink websites. The short answer is no. The long answer is absolutely! The Old Auction House takes no responsibility for any products that do not meet the ACCC, TGA, or other regulatory body’s requirements. When your brand joins our space, brands state that they meet all regulatory requirements and are legal for sale in Victoria. Insurance won’t help you, where you don’t meet these requirements. Ignorance of the law, being a small maker or hobbyist, or always having made it like that, is not a defence and can void your insurance. Similar to your car insurance not covering you if your BAC is 0.1 when you have a accident! But if the unthinkable happens and something goes wrong with one of your products, even where you have done everything right, insurance could mean the difference of becoming bankrupt or walking away unscathed. If you are unsure please contact a insurance broker, your industry body or your insurance company to confirm your obligations and options. We know that keeping a positive and active online presence can be a hassle! With online sales platforms, brand websites, Facebook and Instagram it can become overwhelming not to mention confusing and time consuming! While you do not need to have a online presence to be in our space, we prefer it if you do! We like being able to tag our brands and being able to interact with you online to raise your products in our customers mind. Shoppers also like to be able to see that you really are a small maker in Australia and when they look you up! It adds a bit of personality, emotional connection and also shows them how to use your product/how cool your product is or how cute it looks on that baby! We are always asked “How do you think this would look on a XXXX? I’m buying it as a gift.”, and it is great to pull out your Instagram or Facebook to show them! 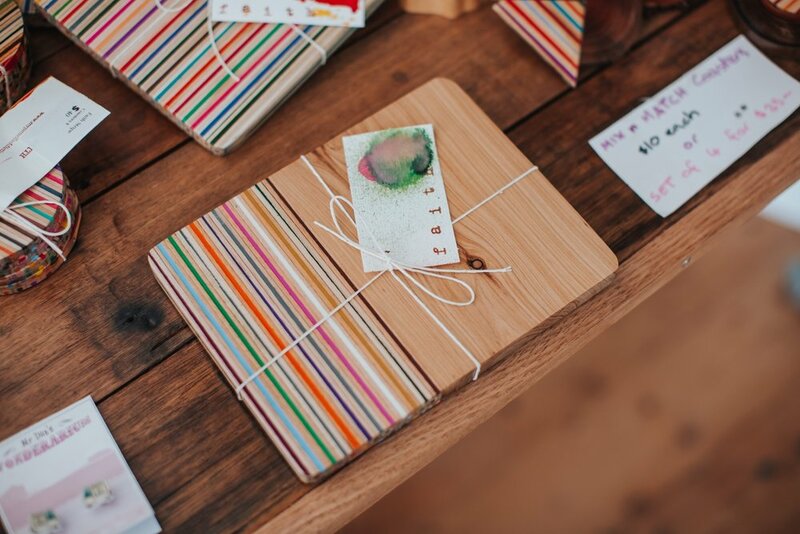 Also don’t forget on Facebook and Instagram, following us and interacting with us boosts both our brands and linking us to your web page as a stockist helps with SEO for both pages, so share the handmade love. We know many of you don’t need to charge GST, let’s be honest most of our brands are counted as hobbyists! Unfortunately, The Old Auction House does need to charge GST on every sale. So even when we buy something off one of our makers who does not need to charge GST, when we then sell that item, we need to charge GST on it. So whether you are renting a studio or gallery, or selling in our gallery or shop, we will have to include GST in the transaction. GST is always 10% and can be calculated by dividing the retail price by 11. Check out Pricing Principles below or the ATO for more details. This has to be one of those topics that is guaranteed to be contentious! 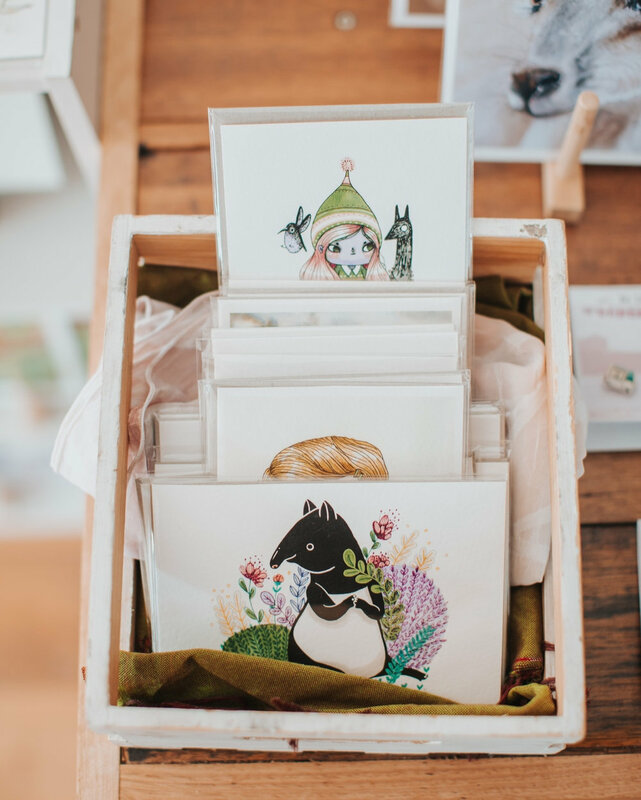 My family has been involved in craft markets for more than 40 years and my full time job used to be taking our brands to markets, selling online and stocking shops with our handmade products. What we have found running the shop is that everyone has a different formula, a different method and a different philosophy when it comes to pricing. If your product is going to be on the high end of the market it needs to be presented to a high standard and often have something that consumers believes adds value to the product, in comparison to the other brands in the market. Brands may apply with their pricing set where ever they feel is appropriate, it may however not work with how we run our space. Down below we have some Basic Pricing Principles to help guide you on your product pricing. ‘Space’ Rental, Consignment, Wholesale, A Combination? When choosing where to sell your products there are so many different shop business models, agents, trade fairs, markets and online platforms to choose from, so how do you choose? Unfortunately we can’t answer for you but we can explain why we choose to do a Consignment-Wholesale hybrid model at The Old Auction House. We have chosen not to staff the space with our makers! When we were makers we found that we didn’t have time to man Galleries, Collectives or Shops as we needed that time to do markets, make stock and have the occasional day off! We also found that some makers weren’t the best shop assistants as they had limited product knowledge on other maker’s products, were only interested in talking to buyers about their own works, and sometimes didn’t want to be there or weren’t capable of doing the required administration tasks. We chose not to charge space rental to be part of our space! Some months in space rentals we were losing money by being there. We wouldn’t have enough sales to either cover our rental, our rental plus the cost of the products sold, or our rental, the shops sales commission and the cost of the products sold, but you need to be in-store the quiet months as many buyers do reconnaissance prior to birthdays, Christmas etc and come back to buy products they previously saw. Shops buy your products outright and the shop normally pays for shipping. Well it comes at a cost, shops expect to purchase your products at a 50% plus GST discount. If you sell your product for $10 your wholesale price is $4.55, so while it might help with cash flow it can really affect your profit margin. Shops take your products with no upfront payment and pay as your items sell, makers normally pay for shipping. No cash up front sounds terrible! Right? Not Really…There is a plus side! Shops consignment rates are normally between 10-40% plus GST instead of 50%. So while you might be drip fed your payments over a number of months, you generally end up with a higher profit than wholesale. Some shops also only take consignment brands in their whole shop or with certain types of products. Instead of the shop paying you for your stock you pay the shop to host your work in their space. Starting to sound like it could get expensive?!? Rent can vary between $20-$150 a week depending on the venue, location, amount of space and other inclusions. Often there is also a manning requirement or a consignment rate on sales as well. This can work well for high volume brands in busy locations, it can however become expensive quickly if you are not making sales but still paying the rental. It can also be tricky for those that do not live close enough to the store, or those with a job or children, to do their manning and restocking requirements. NB: The below is an example. The values including commission rate and product costs are fictional. These prices look pretty good…but they do not tell the whole story! If your product takes you 150 hours to create, then they need to be more expensive to make them worth your time! If they take 5 minutes maybe you don’t need 2 times cost, maybe you could do 1.5 times? If a customer can buy the same product at the same quality from another brand for $5 retail, is there something that sets yours apart? Is there a market that will pay 15 times more for your version or is your product not commercially viable? Here is a list of ways to annoy shops you are stocked in or make shops uncertain if they want to stock your products! Sell your products on Facebook/Etsy/Instagram/etc for less than your recommended retail price. It’s all good to have a market special or an occasional flash sale online, but customers use technology to compare prices, and we find that where customers find brands selling their products cheaper online they don’t purchase it from the store but then they often don’t then buy it online either! Try having a seconds or sample designs sale instead of a full brand sale, offer free shipping on online purchases or even a surprise with each purchase instead of a discount on the product price. Be confident in your retail price and stick to it! Start stocking another store or attending regular markets and events in the vicinity of a store without talking to your existing stockists! There is nothing worse as a shop than going to all the effort of find a new amazing brand, only to have the place next door suddenly have it as well! Change your branding, especially if it happens regularly! We all know your brand grows over time but it starts to look messy and disorganised when there are multiple packagings on the same product or differing branding on display by the same maker. If you are going to update your packaging or branding, send a message to your stockists and see if they would like additional packaging for the stock they already have on hand as well! When you do make up your branding cards don’t forget to leave a space for us to put on price labels! It doesn’t need to be a proper 3.5cm x 2.5cm barcode space but at least 1cm x 2cm space would be really helpful so we don’t need to cover your branding, safety information or just wreck the look of your piece. Also as a large percentage of our sales are gifts please DO NOT write the price on your product! We want to be able to leave on your branding when we gift wrap! Not having a product list. No matter how awesome your product is, if it is too hard, or takes too long to put in an order shops will move onto another brand. You need to at least have a list of your main products, with their product code (it can be as simple as 001, 002, 003), the product name, wholesale price, and retail price. If you can include a picture as well great, if not make sure that all of your products (including their codes) can be easily found online so shops can see what you make! When you update your product lines, pricing, or stop making certain products make sure you send an updated list so that ordering is easier - there is nothing worse than spending time on sending in an order only to find half the products are no longer being made and the ordering process has to be redone all over. Yearly or quarterly is the best time period to release new product lists. Check out our Makers Information for product guidelines and then head over to our Application Form!